Now on its 11th installment, the Assassin’s Creed brand is one of the most recognisable gaming franchises around. 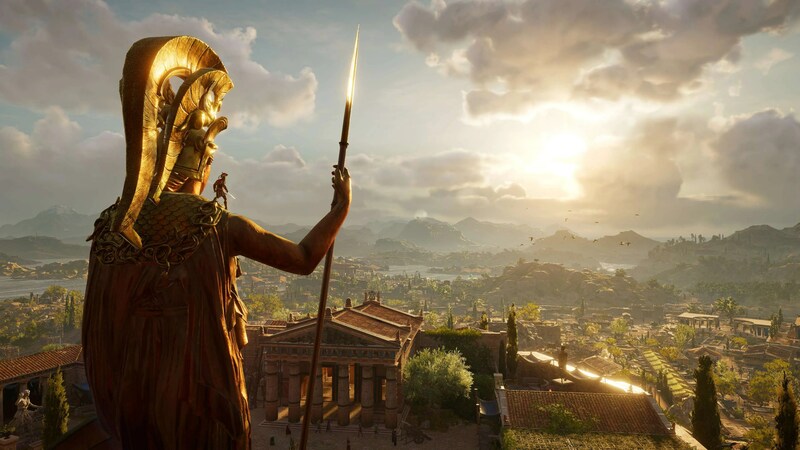 With it’s latest outing though, Ubisoft has decided to take its gaming legacy and the multitude of things they’ve learned over the years, (especially from the last year’s Assassin’s Creed Origins) and create their best AC title yet. 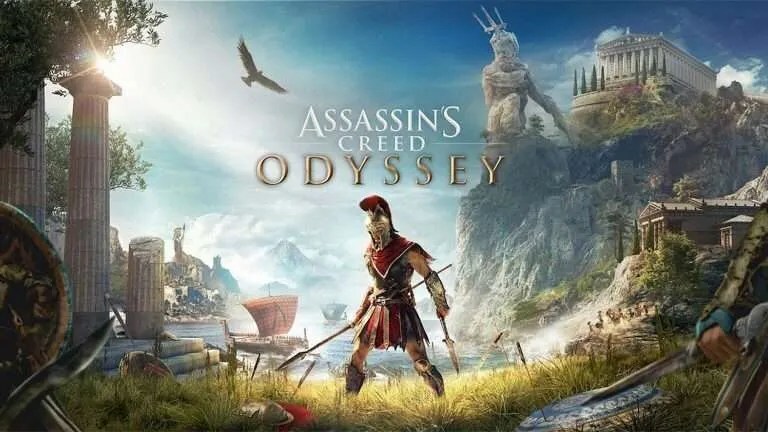 There’s no denying the similarities between Odyssey and Origins but there are definitely enough updates and improvements in the new game to allows it to stand on its own and actually take over the mantel of best Assassin’s Creed title yet. The new game introduces even more RPG elements (think Witcher 3/Horizon: Zero Dawn) along with some quirky new additions such as romance options and the must requested protagonist choice option. With all of this though, the question still remains, are these updates and new additions enough to justify you spending your time and hard earn cash on this game? Read on to find out. 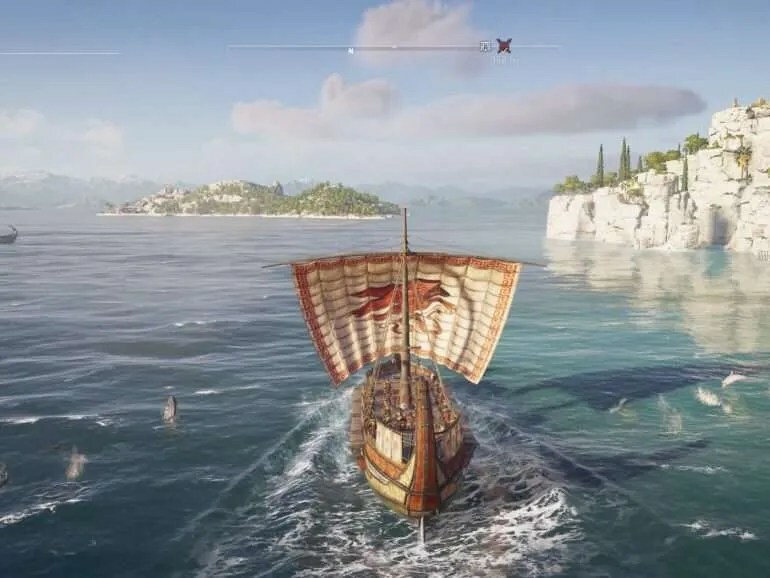 Like many Assassin’s Creed titles before it, Odyssey throws you right in at the deep in from the get-go. At the very start of the game, you are thrust into the Battle of Thermopylae, one of the most famous Greek battles of all time. You take control of King Leonidas as the game uses this sequence to teach you some of the basic combat mechanics. It’s this sequence that is used to set up the backstory of the game. Once you finish fighting, the game brings you right up to present day where we’re reintroduced to Layla Hassan from AC: Origins. In this sequence, she has just dug up the spear of King Leonidas and we learn that it is, in fact a dormant Isu or ‘First Civilisation’ relic. 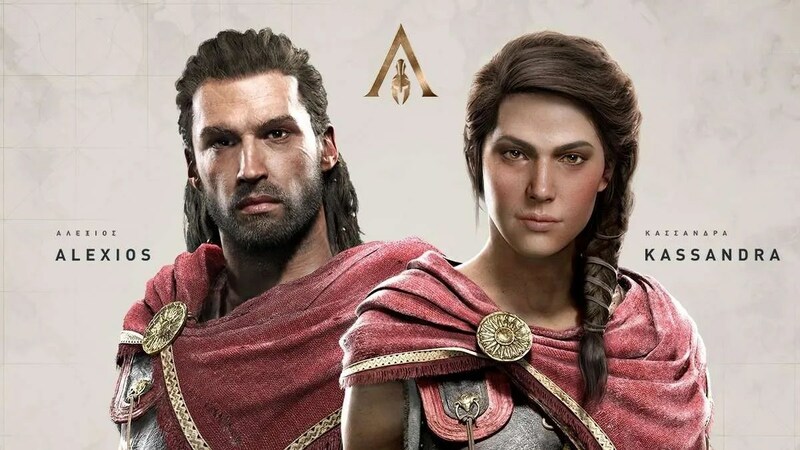 Upon finding this, Layla decides it time to just into the Animus where we, the player, are giving the choice to choose between one of either Kassandra or Alexios to control during your play-through of the game. This will be your first choice of hundreds, if not thousands, throughout your time in the game that will shift the narrative in a way of your choosing. 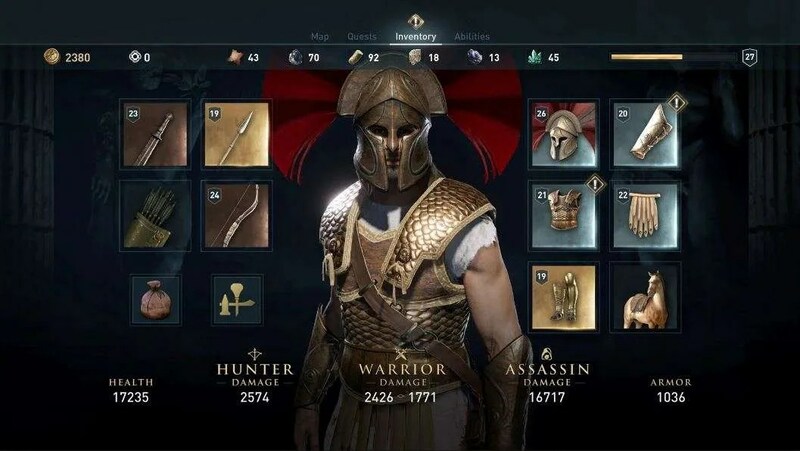 No matter which character you select though, your realise that they are a descendent of King Leonidas and that, their own choices up to this point has led them to become a mercenary right before the Peloponnesian War kicks off. With all of this narrative backstory out of the way, you, the player, are ready to take control and create your own ‘odyssey’. 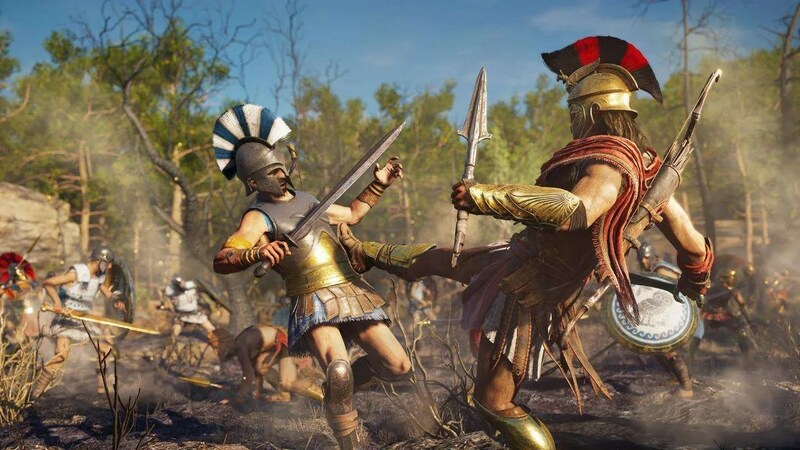 When it comes to gameplay, AC: Odyssey definitely improves on what Assassin’s Creed Origin introduced last year. Combat itself hasn’t changed all that much but Ubisoft has introduced a new branching skill tree that, with numerous different abilities, allows you to change the way you enter a fight and tweak the type of abilities you want to employ when in battle. 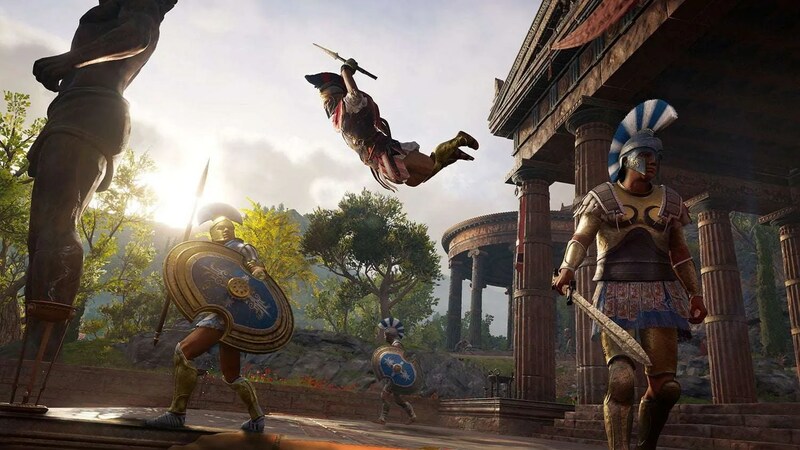 With this new skill tree, you can also improve your archery and ‘assassin’ abilities and this, combined with a more complex loot system, you can start to see how Ubisoft has introduced more intricate RPG elements to the usual Assassin’s Creed fair. We must say though, at the very start of the game, the combat is a little boring, seeing as you haven’t enabled or upgraded any of your abilities yet but, once you do start to unlock them, the fighting becomes a hell of a lot more enjoyable. It was definitely fun to work out the best weapon and abilities combinations for each battle and to also take down enemies who were of a much higher level than me. Unfortunately, all of this meticulous planning and prep felt wasted when the enemies’ AI wasn’t up to scratch with some of them acting in very strange ways sometimes, allowing me to slowly pick them off with arrows before they realised they were being hit. Hopefully this is something Ubisoft can correct with an update. Another welcome addition is the return of naval combat and navigation which makes up quite a substantial part of the game. 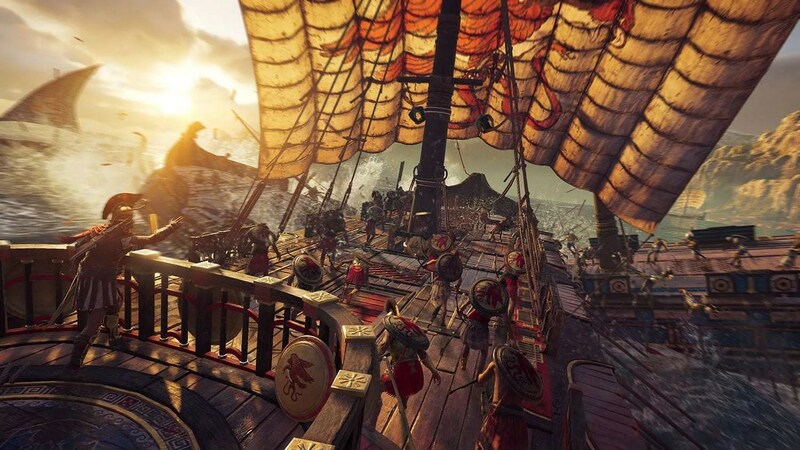 With it’s reintroduction, Ubisoft has also improved the naval combat so you can now slam into weakened boats to snap them in half, which, it must be said, is as satisfying as it sounds. Another RPG-focused mechanic introduces by the team is the ability to choose how the waypoints and tips are giving to you, the player with the introduction of a ‘Exploration’ mode which removes some of the hand-holding of previous titles. With this new mode, you are forced to work of facts attained from various conversations as to where to go and what to do and you will find yourself using the map much more as waypoints are no longer going to be as obvious in telling you where you need to go. There’s no denying, this new mode is definitely more challenging but, if you find it’s taking too much time to find out where you need to be, you can simply go into the settings and turn the ‘Guided’ mode back on. With the continued push for more RPG elements, Ubisoft has also included a Mercenary system which looks quite similar to the Nemesis system in Shadow of War. During your time in the game, you’ll be able to carry out tasks such as stealing from or killing civilians which, in turn, will put a ‘bounty’ on your head. With this bounty, (which actually shows up like an old-school GTA wanted level in the bottom right of the screen) you’ll be informed that Mercenaries are not actively looking for you to claim their piece of the pie. Taking them on is pretty difficult as they are usually a few levels higher than you but if you are successful in taking them down, you’ll be rewarded with some pretty decent loot. 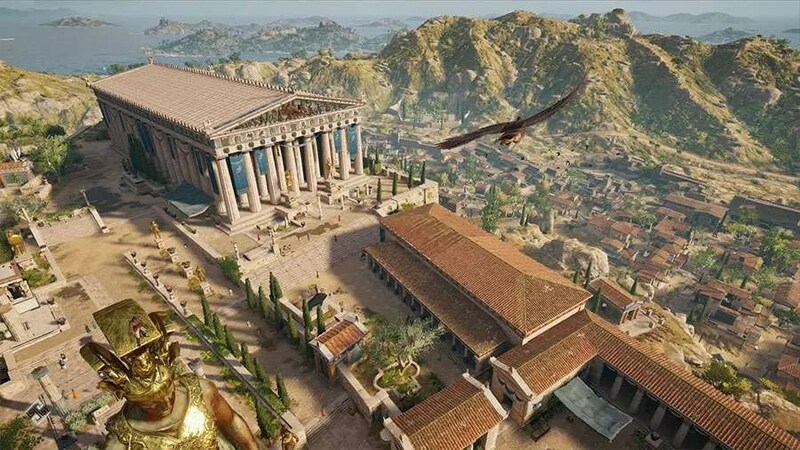 In terms of the visuals in Assassin’s Creed Odyssey, they are definitely a step up from last year’s Origins. The game is a sight to behold, especially if you’re lucky enough to play it on 4K HDR on a 4K display. We reviewed this game on an Xbox One X with a 55″ 4K TV and it literally stopped us in our tracks, multiple times, at how gorgeous some of the visuals are. The dynamic weather and day- night cycle are also extremely impressive and go towards creating a world that feels alive. The stunning vistas and attention to detail really needs to be commended here with Ubisoft creating one of their most visually stunning games to date. I will be come straight and say that I didn’t expect Assassin’s Creed Odyssey to be this good. I approached the title thinking it was going to be a re-skinned Origins from last year and that it was going to be more of the same. Don’t get me wrong, I enjoyed Origins but really wasn’t sure if I wanted to sink tens of more hours into the same game, just in a different setting. After playing Odyssey for tens of hours now, I can only say that it definitely isn’t just a re-skinned Origins! 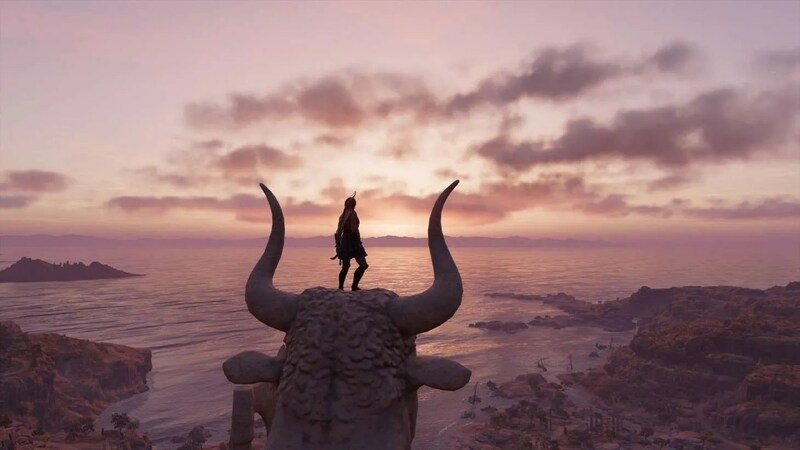 Ubisoft has crafted an incredibly complex and intricate game and, with the inclusion of the various RPG elements and improved dialogue system, they really have created one of their most impressive titles to date. The game takes you on an epic journey but lets you tell your own story at your own pace. 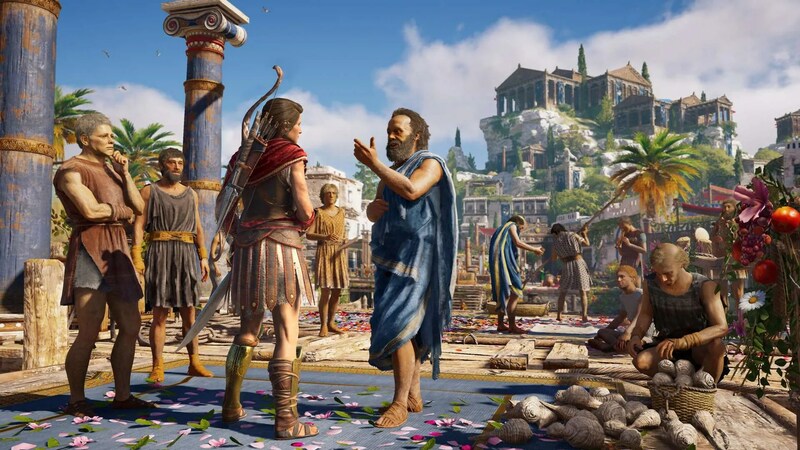 When everything comes together, the narrative, the gameplay, the visuals and the overall polish, Assassin’s Creed Odyssey really can stand up their with the other RPG greats. 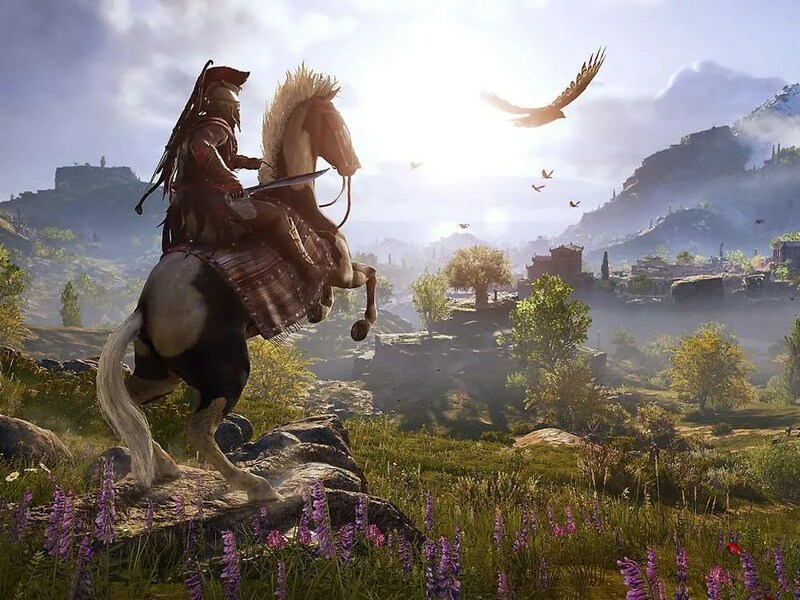 Ubisoft has crafted an incredibly complex and intricate game and, with the inclusion of the various RPG elements and improved dialogue systems, they really have created one of their most complete titles to date.